In this world of shifting corporate sands and faceless multinationals, you need to know who you can trust. 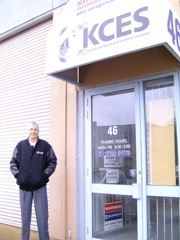 Kessler Couplings & Engineering Supplies’ (KCES) credentials in relation to pipe couplings are impeccable. Wolf Kessler, founder and director, comes from Austria, where he qualified as a mechanical engineer. He was the applications engineer at Straub, the Swiss manufacturers of the original pipe coupling, developed in the 60s, before emigrating to Australia, and KCES was Straub’s exclusive Australia/NZ distributor for twelve years. KCES is now proud to announce a new exclusive distributorship with an innovative and high-quality European manufacturer, UNI-Couplings of the Netherlands. Relatively new to Australia, UNI-Couplings represent the state of the art in pipe couplings technology and have been sold overseas in markets as diverse as water/wastewater, shipbuilding and district heating. They have a highly distinguished pedigree, coming as they do from the stable of United Pipeline Products (UPP). UPP have produced pipe joints and repair clamps under various well-known brands for nearly 30 years and are certified to ISO 9001 and ISO 14001. Many in the international oil, gas and offshore industries will know the names Huwa, Hegawa, Gekave, Romacon and Romacon /Petro. Despite its global presence, UPP is a hands-on, family-owned group which stands behind its products, and places enormous value on excellence and quality in both product and service. KCES is the local pipe couplings specialist you can trust, offering technical expertise, extensive stock, excellent service and great value. KCES and UNI-Couplings – credentials you can trust. KCES believes in having the products you need when you need them, and backs up this business philosophy by investing in a large range of stock. 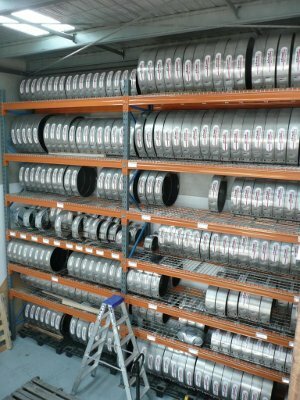 On average at any given time we will have over 120,000 items, making KCES highly likely to be the largest pipe coupling stockist in the Southern Hemisphere. This means that, as far as possible, you do not need to wait weeks or months for a delivery. KCES specialises in customer service excellence and your order for stocked items can frequently be picked, packed and despatched the same day. We also have an extensive network of distributors and other commercial arrangements to optimise availability. KCES’ strategy is to ensure we meet our customers’ expectations with on-time supply, exceptional local technical knowledge and unbeatable service. With our extensive stock available immediately in Australia and New Zealand, we can supply from our standard range (subject to availability) by domestic courier within a few days. Where courier cut-off times and logistics allow, our available products can even be dispatched the same day. Why Pipe Couplings and Clamps? Pipe couplings are the easy, quick way to join or connect pipes. They have been in use since the 60s across the world and newer manufacturers have evolved and refined their concept over the decades. Pipe Couplings use scientific and innovative principles to do the work of welding, flanges and other traditional pipe connecting methods that are far heavier and more inconvenient (and often more expensive!) to use. Pipe couplings provide a cost-effective, weight and space-saving method of joining pipes of any materials, and being light-weight and easily carried, are the only practical choice for confined spaces such as tunnels, engine rooms or co-located plant or pipes. They even provide additional dampening of noise or vibration. Pipe couplings are also easy to use as most models have only two bolts to fasten. They can also be installed without specialist, heavy or fire hazardous equipment – no hot work permit required! They even boost productivity by helping you save time and labour, as they do not require any special preparation of the pipe ends. Pipe couplings are used to join pipes or insert, or replace, a pipe section or component in just minutes. Clamps wrap around pipes for sealing and repair in seconds. See the YouTube Video for a demonstration of how easy and quick it is to install pipe couplings to join pipes. Compare that with welding or flanges! 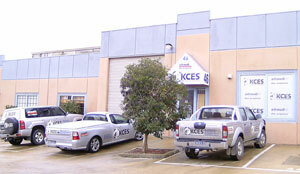 KCES specialises in the sale of pipe couplings and clamps – it is our only business. For unrivalled local specialist sales and product advice contact us.